Todor is a Sr. Program Manager for Azure Government Engineering and Lead of the CSP Program for Government. For several years at Microsoft he has worked across Security, Devices, Field and Cloud. His breadth of knowledge from previous experiences (both inside and outside of Microsoft) helps connect the different parts of the enterprise to solve customer and partner needs. Mr. Edwards is a national expert and speaker on regulatory compliance (NIST, DFARS, and ITAR) and implementation within Microsoft cloud platforms. Scott’s technical experience was honed at NASA as a Chief Engineer and Engineering Manager for the NASA Datacenter. Scott received his Bachelor of Science from the United States Military Academy and his Master of Science in Computer Science with an emphasis in Information Assurance at James Madison University. 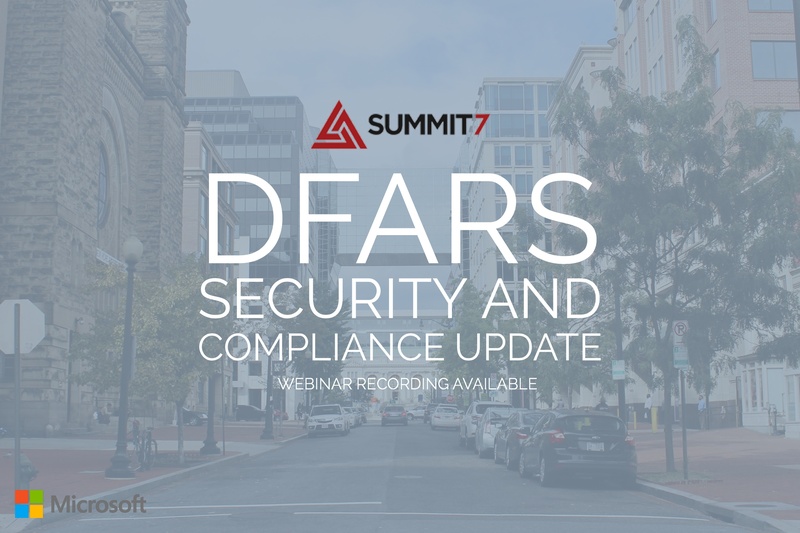 In this installment of our DFARS Security and Compliance Update Series Microsoft's Todor Batchvarov, went over the latest features to be released in Office 365 GCC High and Azure Government, and how they will impact your organization/environment. The team discussed some of the recent breaches, legislation, and reports from throughout the 3rd Quarter. Scott wrapped up the webinar with trends amongst the nearly 100 contractors he's consulted or supported, and what are the most misunderstood or overlooked aspects of migrating to Office 365 GCC High. NDIA recently conducted a study with the help of Michigan State University and Lockhead Martin entitled "Implementing Cybersecurity in DoD Supply Chains". The findings were not flattering, but the recommendations were spot on. This white paper was integral during our discussion. P.S. Join us on our next webinar. We're teaming up with Microsoft to go over why Government Contractors rely on Azure Government. Register here.